Hi Alka.You blog is great.I trie your aloo methi and bhooga chawar.Amazing.Thanks God Bless. So glad to know that the recipes worked for you ! Thanks for letting me know this ! I love this sabji but i i m in USA & we don’t get fresh methi here. We get dry methi & i m not sure how to make with it. Can you please help me out. 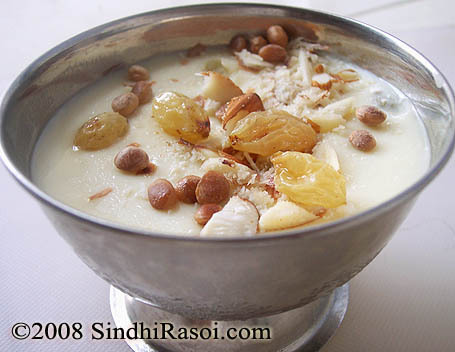 Thanks for posting all the wonderful Sindhi recipes!!!!! It was really great reading your blog! Thank you so much for blogging about homestyle Sindhi food. Totally love the simplicity and authenticity of your recipes. It gave me a really warm feeling. Nice one.. first time here you hv got very interesting recipes. i tried ur dhaas shimla mirch recipe yesterday night and i am so in love with it 🙂 both me and my hubby enjoyed it a lot and it has become our family fav now 🙂 thank you for that wonderful recipe. I will be posting it my blog soon with little modification i made. I love this combo too….I use only turmeric and salt along with this so that I can enjoy the flavour of methi to the fullest. 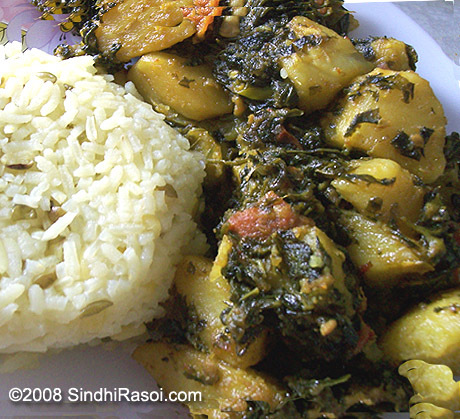 yummmmmmmmmmm..love the combo of spinach and potatoes…love it:)..perfect combo with rice..
What I like about this recipe and generally Sindhi food is that it tends to less spicy, like this one contains 1/2 tsp of coriander powder. Usually desi food contains ‘smelly’ spices (like a ton of coriander powder, cumin powder along with garam masala: a recipe for a ‘smelly’ kitchen) which one can’t cook without nasty comments from the American or European neighbors. I don’t know if this is an authentic Sindhi recipe but I like it nevertheless. By the way the murbo was authentic Sindhi murbo right? 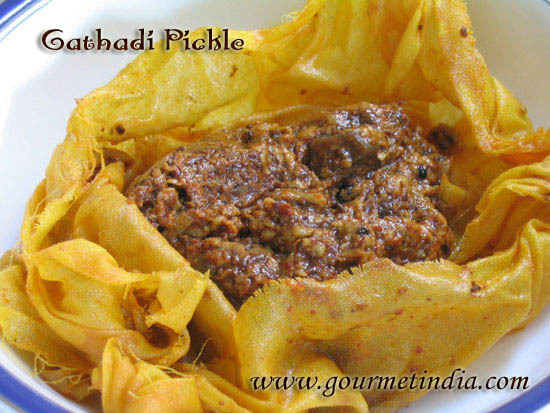 oh Methi Aloo, I love this but not when it was cooked forlunch that time I would eat my Khichini with dai, and then later in the evening mom would make the methi aloo toast for me and yummmmmm. I was a very fussy eater as a kid, little better now. 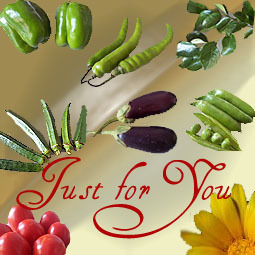 Thanks for the hint on Mirchi Pakoda will try it next time.